... better than me?? Here's her explanation. T-rex's exclusive-you is not, as far as I know, lexicalised or otherwise encoded in any language, and, not unconnectedy, I suspect, it seems impossible to use 'you' to communicate it. Allott, N. (2010). Key Terms in Pragmatics. Continuum. 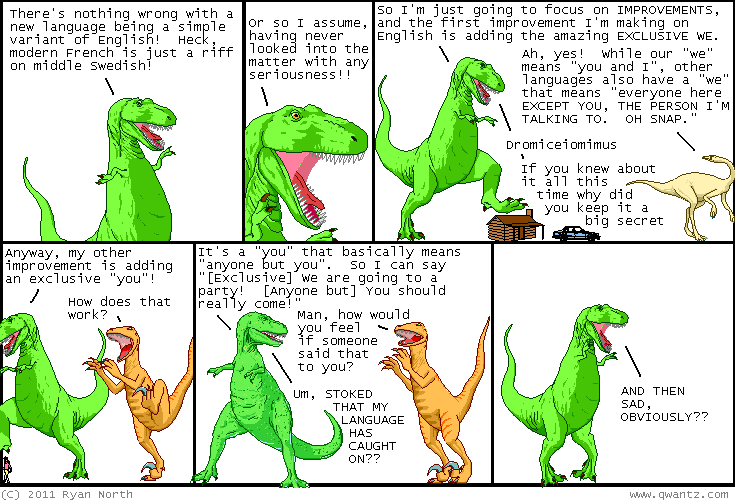 I suspect that T-rex's grasp of historical linguistics is a bit shaky, by the way.